On August 29, shortly after his primary victory, Gillum appeared on CNN with Chris Cuomo and was asked about how to implement “Medicaid for All” similar to what Vermont tried but was unable to do. Gillum’s opponent, former U.S. Rep Ron DeSantis, R-Fla.. pounced, trying to paint his the Democrat as a socialist. “He said he wanted to do a single payer confederacy with California, New York, and Florida. So just imagine, everyone loses private insurance. They all go on this single payer system. You would have to jack up taxes. Who knows how high you would have to do it? And then we would send all of the money to New York and California, so not a good idea,” DeSantis said. Six weeks later, Gillum refused to endorse the same idea when asked by Florida Daily to give more details on what that healthcare plan would look like. Gillum has made healthcare a central theme in his campaign, calling it a right, something his Republican opponent has disagreed with. Gillum believes that expanding Medicaid under Obamacare, something Gov. Rick Scott has refused to do, would be the best way to get people covered. He does not believe it would raise costs. “The beauty of expanding is that, not only will we help those who don’t have insurance, we will help those individuals and small business owners who are finding it difficult to afford health insurance for their employees. 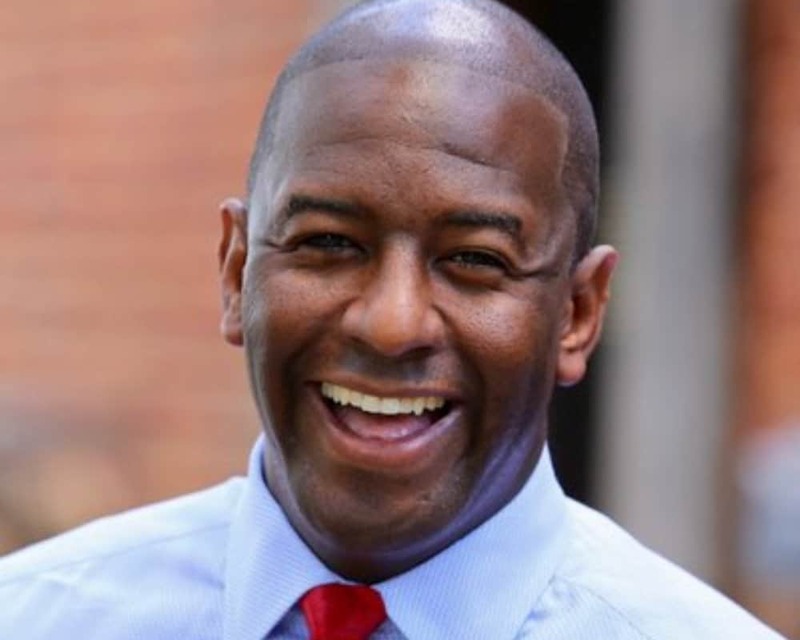 By helping to control costs, we will bring down those premiums that are right now increasing year over year over year and make it more accessible for everyday people,” Gillum said. Florida Daily followed up by asking if a healthcare confederacy was not feasible at this time. “It’s my opinion that the federal government needs to take the lead on expanding access to healthcare vis-a-vis Medicaid for All. But here in the state of Florida I am going to do everything I can to expand access to health insurance for the one in five people in Florida that don’t have access,” Gillum said. DeSantis is using the healthcare issue to make a larger point about Gillum’s belief system. “Andrew’s candidacy represents a challenge to Florida of being a low tax state,” DeSantis insisted. Democrats have protested at numerous DeSantis campaign stops, taking aim at him for not offering a full health careplan and accusing him of denying coverage to a segment of Florida’s population by voting against protecting pre-existing conditions.